“It’s time people stop with that petty BS and just start celebrating great work and stop with the petty kind of silliness,” she added. Even though Aniston herself stars in one of the most critically acclaimed roles of her career, this is what people want to talk about. That, and marriage and babies — specifically, when is she going to check those milestones off her list? It’s something the 45-year-old actress, who is engaged to actor/director Justin Theroux, has to address in almost every interview. Last summer she memorably told Carlson Daly: “I don’t have this sort of checklist of things that have to be done…and if they’re not checked, then I’ve failed some part of my feminism…or my value as a woman.” A collective ‘thank you,’ followed from women everywhere. Clearly marriage isn’t a prerequisite for happiness. Elizabeth Taylor was married eight times to seven different men and look how that turned out. Even Brangelina aren’t doing things on a traditional timeline, since they just got married last year. Aniston, who lives with Theroux, seems perfectly content with her relationship. “I have a level of ease right now in my life. I have an unbelievable partner who supports me and loves me and makes me feel like there’s nothing I cannot do,” she told The Huffington Post. It’s this kind of candor that makes Aniston especially endearing to female fans everywhere who have been watching and loving her for 20 years now, since the beginning of ‘Friends,’ where she first displayed her comedic timing. Since then, she’s has some good roles (“The Good Girl”), some not-so-good roles (“Derailed,” “The Bounty Hunter”), a bunch of movies filed under ‘guilty pleasures,’ and some forgettable ones. “Cake” is anything but that. In the small indie film, Aniston plays a woman suffering from chronic physical and emotional pain as a result of a car accident. She’s addicted to a dangerous mix of booze and painkillers, and paralyzed from the loss of her son. It’s proof of what she can do with interesting material. 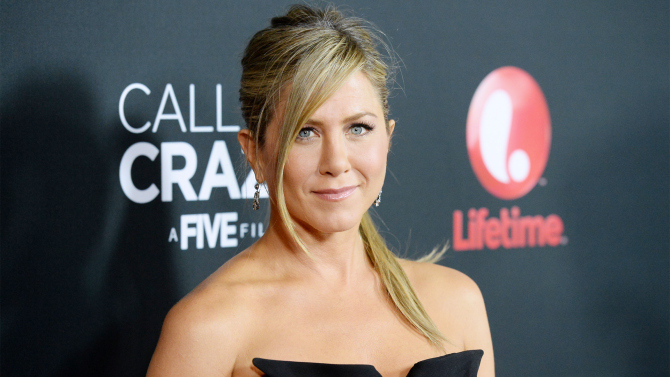 Off-screen, Aniston went beyond the typical celebrity spokesperson role and has found success as an entrepreneur. In 2012 she invested in Living Proof, the beauty company founded by MIT scientists and known for their anti-frizz technology (cool fact: this month the company launches a line for women with curly hair). It’s a savvy move, considering we’ve all been obsessed with Aniston’s hair since “The Rachel.” As co-owner of the company, she brought on Chris McMillan, the genius behind her most famous cut and her mane man to this day, to be the brand’s celebrity hairstylist. If people insist on feeling sorry for Aniston, they have officially ran out of ammunition. She is thriving, and yes, in her fourth decade (take that, Hollywood!). These days, the haters seem to be outnumbered by those on her side. Still, it doesn’t change how Aniston feels about the work, which is ultimately the only thing that matters. The same can be said of Aniston. This story was originally published on Variety Latino.